Richard Luigi Di Natale is an Australian Senator and leader of the Australian Greens. Di Natale was elected to the Australian Senate in the 2010 federal election. A former general practitioner, Di Natale became federal parliamentary leader of the Australian Greens on 6 May 2015 following the resignation of Christine Milneand led the Greens at the 2 July 2016 federal election. From GP to MP: Who is Greens leader Richard Di Natale? 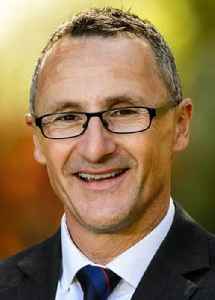 It's been four years since Richard Di Natale took over as federal leader of the Greens. SBS News takes a look at his political career ahead of the May election.